Christopher Connelly (39) punched a taxi driver and knocked him to the ground and then kicked the man’s car. 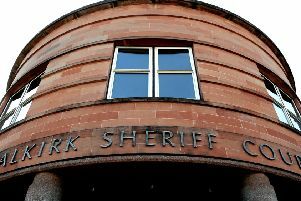 Connelly, 3 Thornbridge Road, Falkirk, admitted the assault and property damage in the town’s Newmarket Street on October 6 last year. He was fined £400 and ordered to pay £250 compensation to his victim at a rate of £100 per month.